Hjem » Kognisjon » Brytere » Test-IT! 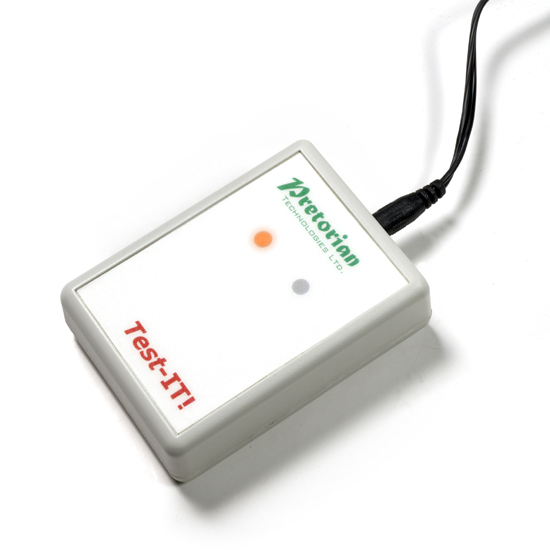 The use of a Pretorian Technologies Test-IT! 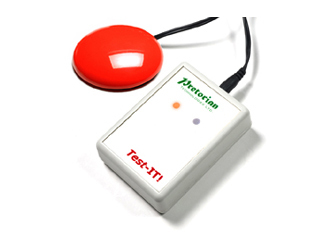 can prove to be particularly time saving when working with multiple switches, switch interfaces, computer equipment and users. The unit is very simple to operate; Plug the switch into the socket and the orange LED lights to indicate power is on. Press the switch and the green LED lights to indicate a fully functional switch. Tests all switches with a 3.5mm jack plug. Battery operated with an extremely long battery life.